You know how some people who sit at their desk job all day like to sit on an exercise ball? And you know how it always looks kind of strange seeing someone sitting on a big ball in an office? Well, the German office furniture manufacturer Topstar has created a more stylish alternative. 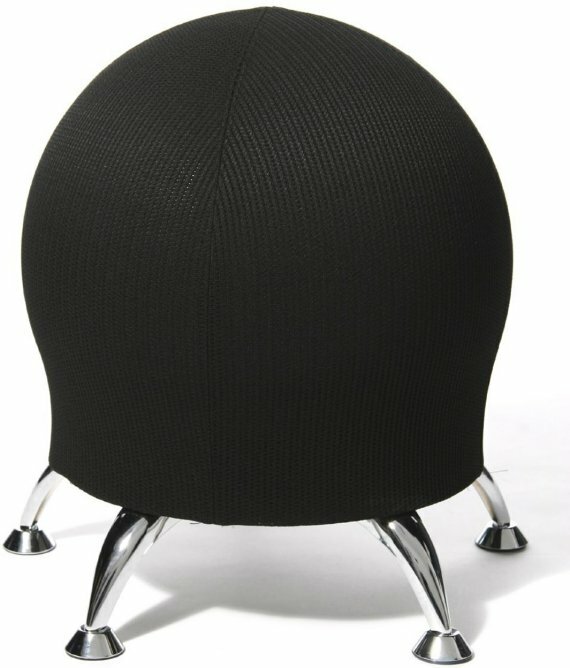 The Sitness 5 features an exercise ball that rests on five chromed feet made of light metal, and the whole construction is covered with a mesh fabric. Visit the Topstar website – here.